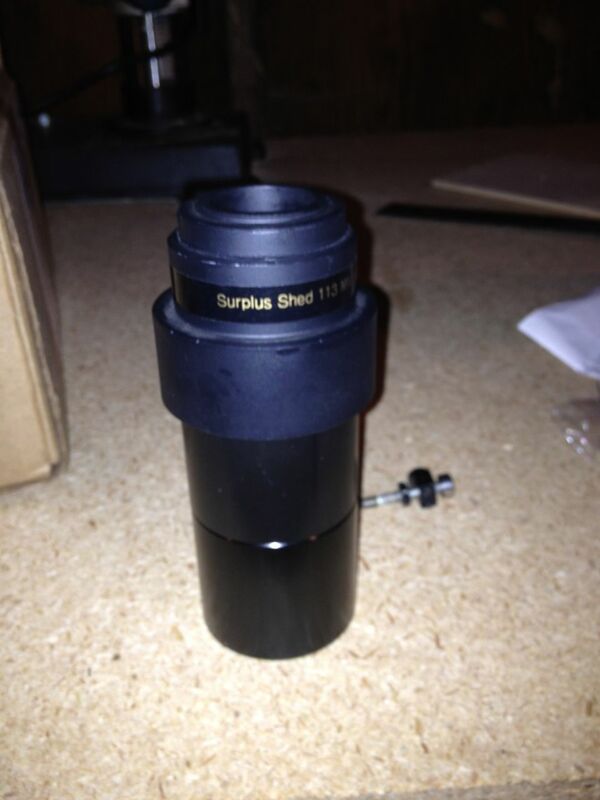 A little while ago, on a lark, I ordered a 113mm eyepiece from Surplus Shed, because I was ordering some refractor objectives and bearings to make a Crayford focuser at the same time, and I was curious about an eyepiece with such a long focal length. As far as I knew, the usual maximum focal length for 2” eyepieces is around 55mm, but I thought I may as well see how this one worked. I have not been able to really get out and observe since the eyepiece came, because of the terribly cloudy and dreary weather we’ve had for a while, but it was clear enough the other night that I was able to roll the big telescope out and try the eyepiece out real quick. While Surplus Shed has a lot of neat stuff (and I’m very excited about the refractor objectives and have been toiling away at getting that built), I can’t recommend this eyepiece. Not only is the field of view very narrow, but when I put it in the Dob you can still see a big fuzzy spot where the secondary mirror is. Their shorter eyepieces might be all right, but judging from this I think it’s best to avoid their insanely long focal length eyepieces. 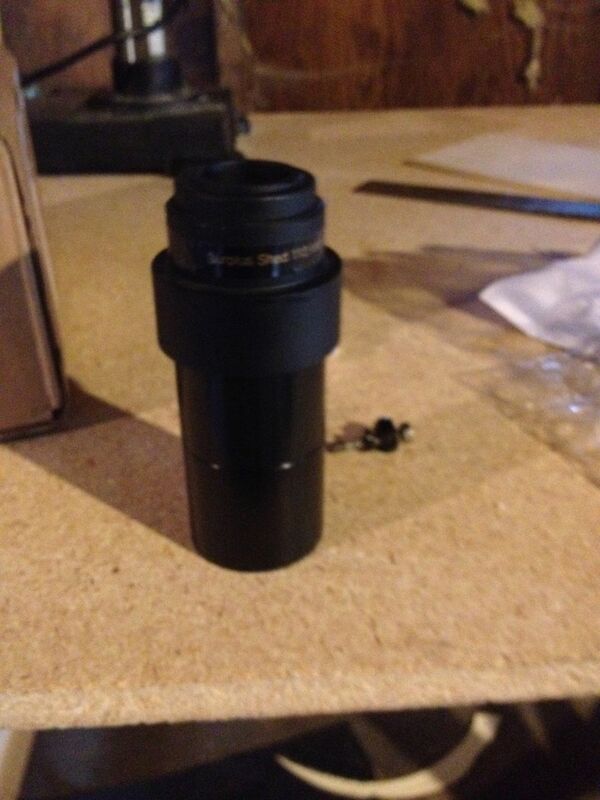 Note: I do intend to try this eyepiece out with the refractor when it’s farther along. It may work better with a refractor, or a longer focal ratio reflector. Still, the narrow field of view will be a problem no matter what. I will try it out with different equipment when I can, but at this time I suspect it’s never going to be particularly useful.